Home › Bidding wars › Bidding Wars: Will escalator clauses put designated agency into investigative spotlight? Bidding Wars: Will escalator clauses put designated agency into investigative spotlight? Well said, …probably better than @Chrissie78 realizes. If you visit this property on Zillow, one could argue that the winning bid did not make sense when it was made and that will become more obvious as time goes on. 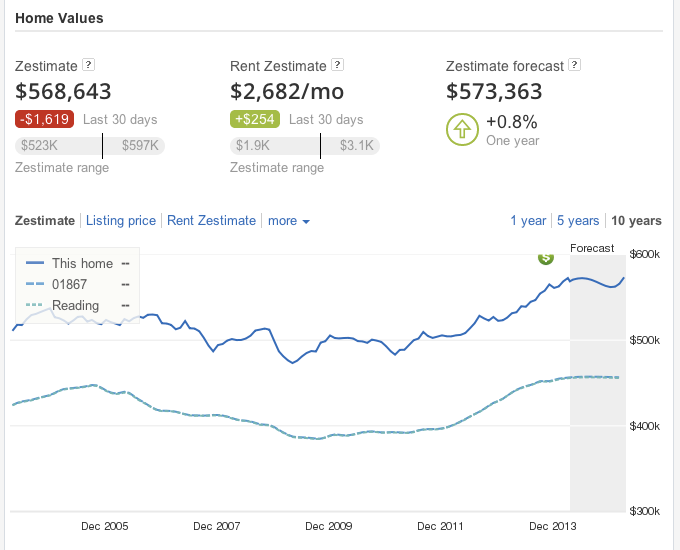 As the image above shows, a year from now Zillow estimates the value of the property at $573,363. That’s $6,500 below the original asking price and $23,600 less than the winning bid. Dig a little further on the MLS, and the story gets much more interesting. 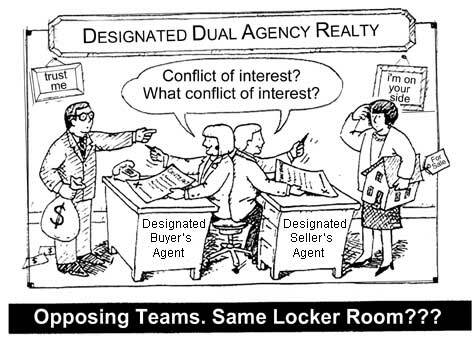 Like too many transactions, this high bidder was involved in an in-house sale; so that may mean both buyer and seller were represented by “designated agents” in the same real estate brokerage. The story does not end there. As taxpayers we’re now guaranteeing 9 out of 10 mortgages, up from just 3 in 10 in 2006. So, when someone makes a bad decision or gets bad advice from their agent because of a conflict of interest, it may negatively impact all of us. Our research suggests that this is NOT an isolated case and we’ve got some data we’re ready to ask collaborators to cross-examine, expand to recognize patterns, and if appropriate, take corrective action.